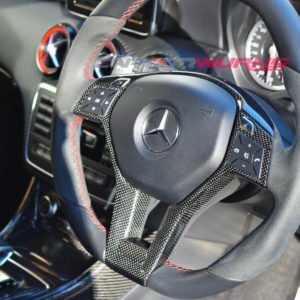 The interior of the A/CLA/GLA is already a nice place to be, but for an AMG car there is far too much plain black plastic that lets down the exotic feel to the inside. 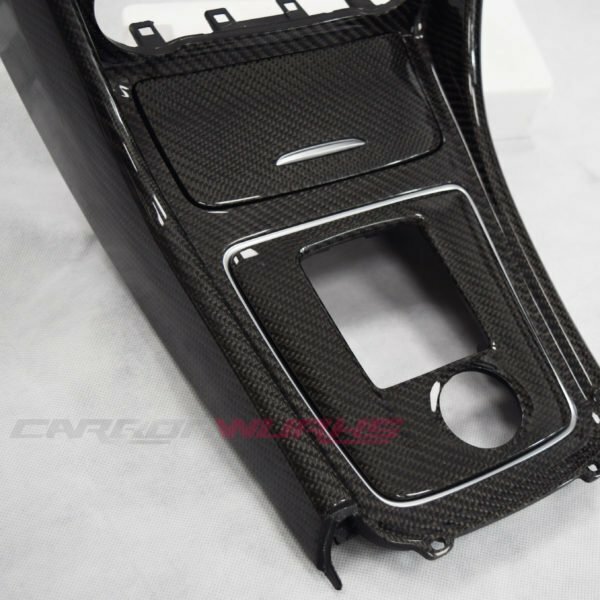 Carbonwurks offer a full replacement to the OEM console in carbon fibre that gives the proper AMG feel. 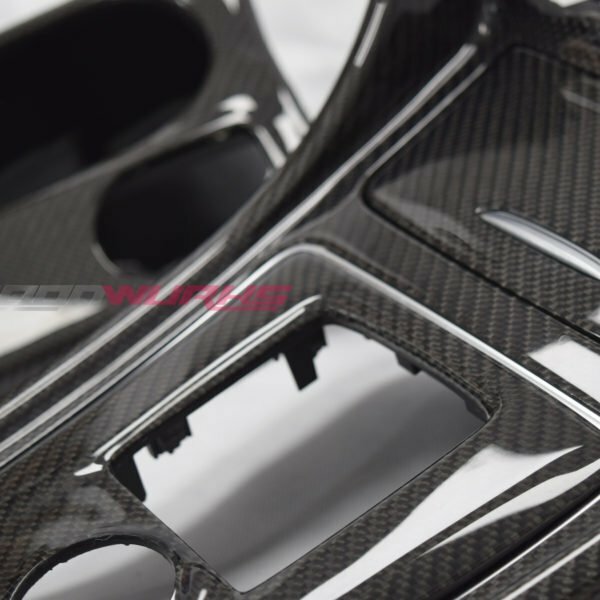 The Carbon Fibre Centre Console is made from an existing OEM console, which is laminated in genuine carbon fibre and finished off in a high gloss lacquer to protect from UV rays. 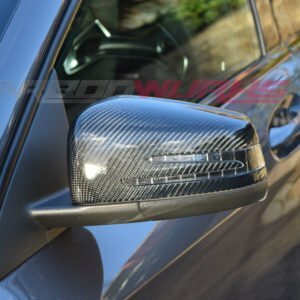 Fitment is a direct swap; professional installation is recommended but can be replaced in under 20 minutes. 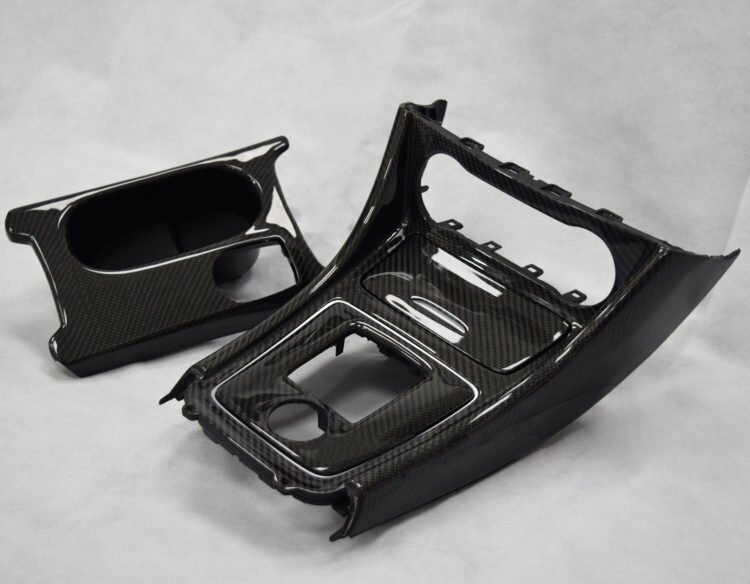 We can offer a rebate system for this part where if you return your old original console in a good condition, a refund of £150 can be given. Please select this option when purchasing and you will receive instructions for returning your old console. 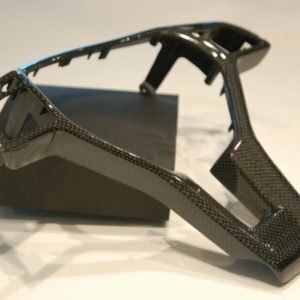 Please note that your console sent back has to be in a good condition with not broken clips etc. 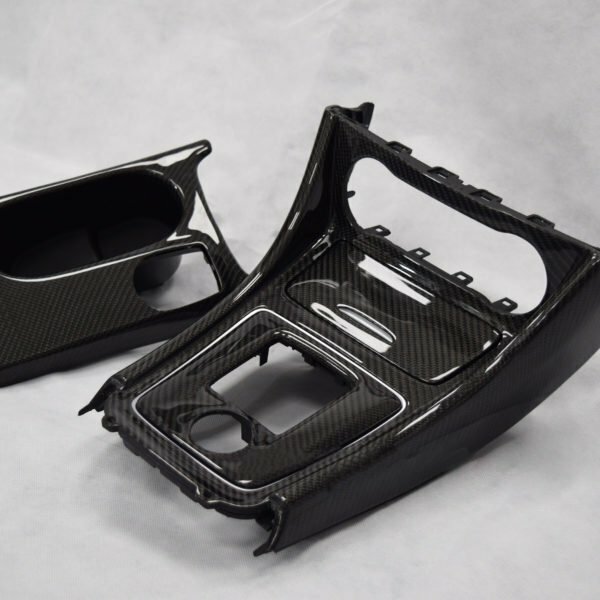 Sending your old Console back also needs to be done within 10 days of receiving your new Carbon part or you may not receive back a full refund of £150. 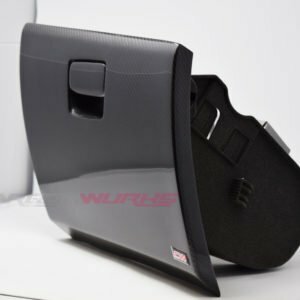 This Console pictured currently is for right hand drive vehicles but can be produced in left hand drive also, please let us know which version you require. 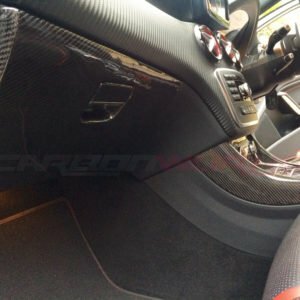 1 x Carbon Fibre Centre Console including ashtray, gearstick surround with drive select and cupholder rear console section. 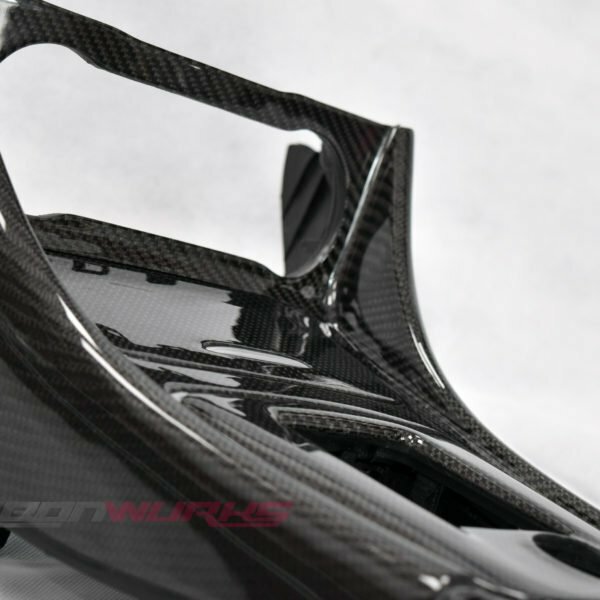 As nice as the original aluminium Mercedes wheel trim is, it just isn’t carbon fibre! 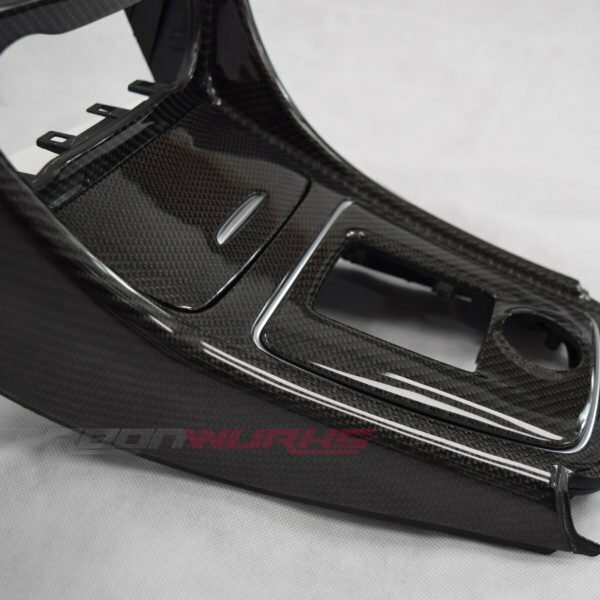 The Carbonwurks carbon fibre replacement wheel trim sets the steering wheel off nicely with striking glossy carbon weave that can be admired all the time while in the car. 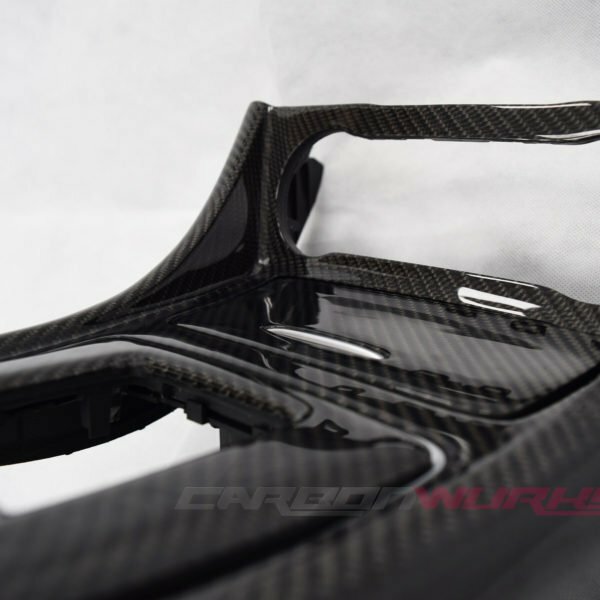 One of the most common Carbon Fibre parts that a manufacturer offers as a factory option is Carbon Fibre mirror. 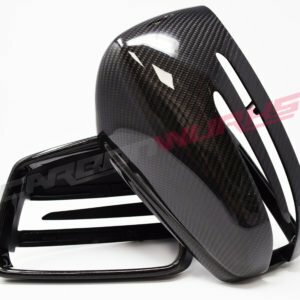 CarbonWurks produce these same Carbon Fibre mirrors just without the ridiculous Manufacturer prices. 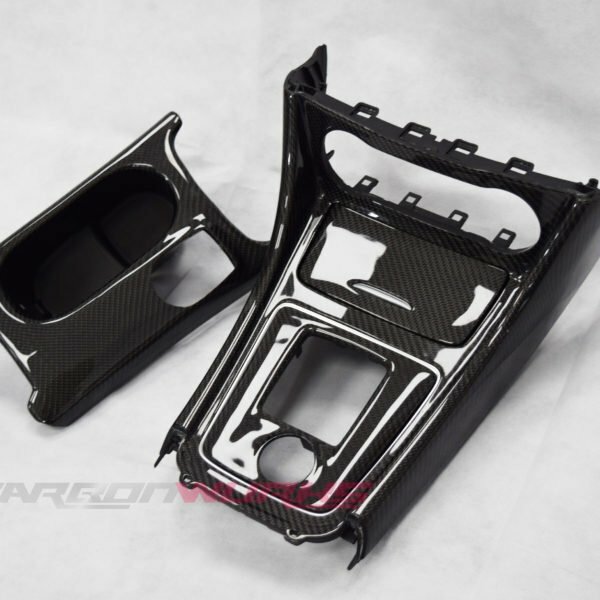 The Carbon Fibre Glovebox is made from an existing OEM Glovebox, which is laminated in genuine carbon fibre and finished off in a high gloss lacquer to protect from UV rays.